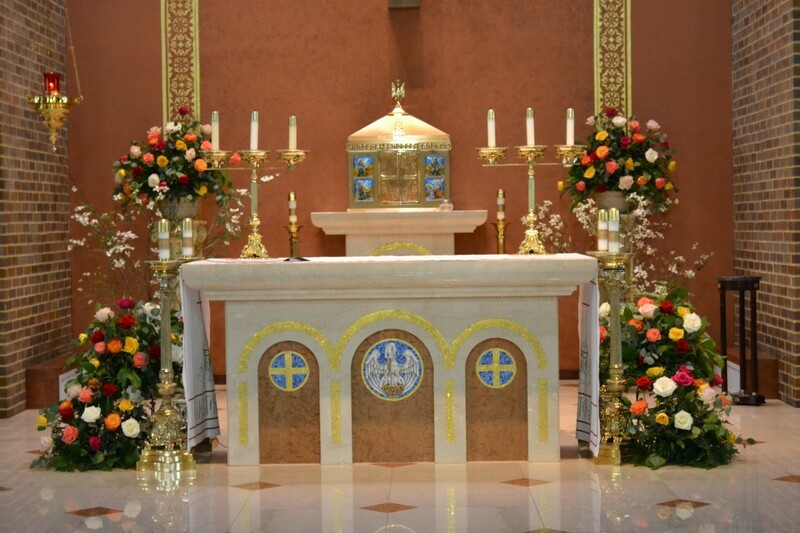 St. Catherine of Siena Catholic Church in Great Falls, Virginia has all the trappings and decor of religion and piety. March 12, 2001 — Father Franklyn McAfee, the pastor of the church attended by accused FBI spy Robert P. Hanssen, has threatened to have several supporters of the Waco Holocaust Electronic Museum arrested. The offense? Handing out information about FBI director Louis Freeh, who is also a member of Father McAfee's church. March 11, 2001—FBI agent Robert P. Hanssen stands accused of spying for the Russians in return for $1.4 million in cash and diamonds. Mr. Hanssen is a Catholic. He attended St. Catherine of Siena Church in Great Falls, Virginia since 1988. He is also a member of the Catholic lay organization Opus Dei which, we are told, secretively attempts to convert VIPs in government and society to Christ's words and Catholicism. St. Catherine's and Opus Dei deny they have profited. Mr. Hanssen's donations to Opus Dei have been characterized as "paltry," (Washington Times, Hanssen belonged to Catholic group that proselytized elites 2/22/01, p. A16). Meanwhile, the pastor of St. Catherine's, Father Franklyn McAfee, has complained that Mr. Hanssen has not paid dues owing St. Catherine's, despite his attendance at the church since 1988. Father McAfee is quoted by the Washington Times: "[Mr. Hanssen] didn't support the parish. I can safely say he didn't donate." Arrest the Davidian Murderers. When Sen. John Danforth issued his own report on the Waco Holocaust, he praised the FBI and blamed the Davidians for the Davidian deaths on April 19, 1993. America's famous Catholic, Louis Freeh, termed the Danforth report "both vigorous and thorough." In that vigorous and thorough report, Sen. Danforth revealed that the current leader of the Branch Davidians, fire survivor Clive Doyle, admitted to the Texas Rangers that the Davidians started the fire. Furthermore, the Danforth report says Doyle's hands were burned in a manner consistent with a "flashback" from a liquid fire; Doyle's jacket contained flammable liquids on both sleeves; the FBI has audio tapes of (alleged) Davidians conversing about starting the fire, and that "several" FBI agents saw Davidians "acting as if they were starting a fire." (Final Report, pgs. 17-20.) Compelling evidence? An honest FBI director who believed the Danforth report was "both vigorous and thorough" would see to it that Clive Doyle (and other fire survivors) were arrested and charged in the Davidian deaths. But Clive Doyle and the fire survivors have not been criminally charged—no one has been charged for the deaths of murdered Davidians. Clearly, Mr. Freeh does not himself believe the story he tells. Perhaps he knows something he isn't mentioning. Let's look at the evidence he surely examined. Public Sacrilege. Louis Freeh gives public scandal to the Catholic Church. As a "good Catholic" Freeh must confess his sins to a priest once a year. Since taking over the FBI, Freeh must have made at least seven confessions. Catholic doctrine stipulates that, in order to be absolved from sin, a penitent must genuinely repent and resolve to sin no more. But each day on the job, Freeh partakes of the ongoing conspiracy to protect the murderers of the Branch Davidians. Lying about the Davidians' deaths and protecting the murderers is Mr. Freeh's way of life, a requirement of his job, just as theft is a job requirement of a jewel thief. Would it be right for a priest to absolve the thief on Monday, knowing that the would-be penitent had a heist planned for Tuesday? Of course not—so why make an exception for a man in Mr. Freeh's line of work? Thus the Church, in its public embrace of Mr. Freeh, holds the sacrament of confession up to public ridicule. As Catholics, or parishioners of St. Catherine of Siena's, or members of Opus Dei, please try to put Christ's words into action. Approach Mr. Freeh and ask which of Christ's words justify protecting the murderers of the Branch Davidians. Persuade him to stop lying about the Davidian deaths and bring the murderers of Melissa Morrison and the others to justice. Christ's words apply to us too, not just Mr. Freeh: "Inasmuch as ye did it not to one of the least of these, ye did it not to me." — Matthew, 25:45. Copyright, March 11, 2001, Carol A. Valentine, Curator, Waco Holocaust Electronic Museum <Curator (at) public-action.com> http://www.holocausts.org/WacoMuseum . For information on Davidian civil law suits and the video "Waco: The Rules of Engagement," see the Burial Gallery of the Museum. This pamphlet has been posted to the following Usenet newsgroups: alt.religion.christian.roman-catholic, talk.politics.guns, soc.culture.usa, alt.conspiracy, alt.politics.usa.republican, soc.culture jewish, and others. Please join us for discussion.